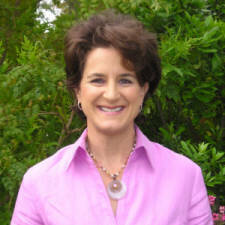 Lori Andersen was trained in physical therapy at Chapman University and in psychology at Claremont Graduate School. She holds Master's degrees in both fields as well as an associate ergonomist certification from Oxford Research Institute. 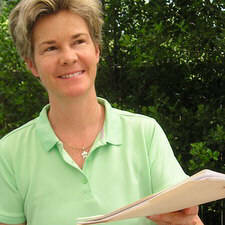 Lori is a licensed physical therapist and has been providing successful physical therapy to patients since 1992. Lori participates in health related community events, is a resource for technical advice and rehab for the film industry, and has been a consultant to NIKE. Lori is also an employee of Methodist Hospital where she teaches exercise in the diabetes class and is a member of the physical therapy outpatient team. As the founder of Mobile Rehab, Lori is active in finding new and innovative techniques that have proven to be effective for patient recovery. Collaborating with local physicians, she brings a unique perspective to the home delivery model of physical therapy. Lori specializes in preventive care, orthopedic conditions, sport related injuries and medically based fitness. Tami Toms received a Master's degree in physical therapy from Chapman University. She’s been licensed as a physical therapist since 1992 and specializes in Constraint Induced Therapy (CIT), SaeboFlex, Bioness, and Walk-Aide. Tami is a leader in progressive therapeutic interventions for pediatric/child and adult stroke, traumatic brain injury and multiple sclerosis. Her advanced skills, experience, and dedication attract people from around the U.S. and keep clients coming back. Tami is available for outpatient physical therapy in your home that includes patient consultations, evaluations and follow up treatments for CIT, Saebo, Bioness and Walk-Aide. For clients who prefer a clinic setting, Tami is available at Advanced Recovery Rehab Center (ARRC) in Sherman Oaks, CA. We can also customize a combined program (in-home & ARRC). 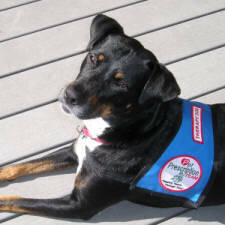 Olive is a member of Mobile Rehab as a certified therapy dog. Olive trained with Lori and Tami at the Pet Prescription Team therapy dog center. She is active in helping clients relax and experience healing. To be top dog for clients, Olive runs 6 miles a week, has her teeth brushed, and bathes regularly. 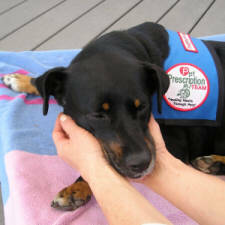 Olive is available to accompany the therapists during outpatient physical therapy in your home. "Lori has great soft tissue techniques that work out the kinks in my neck!"  "We build health care relationships that include both preventive care and treatment. "Olive Girl is really sweet. She loves to watch people and is very interested - but doesn't get in the way. There is something about her that just makes me feel better... I guess that's the animal healing. She's always welcome in our home." "I look forward to bringing my skills and experience to the home setting. Mobile Rehab has the right idea... clients can heal better at home."